MIDTOWN — After spending 13 years in prison, Joseph DeJesus is trying to turn his life around. But with no reliable source of income and seven children, it’s been a challenge. 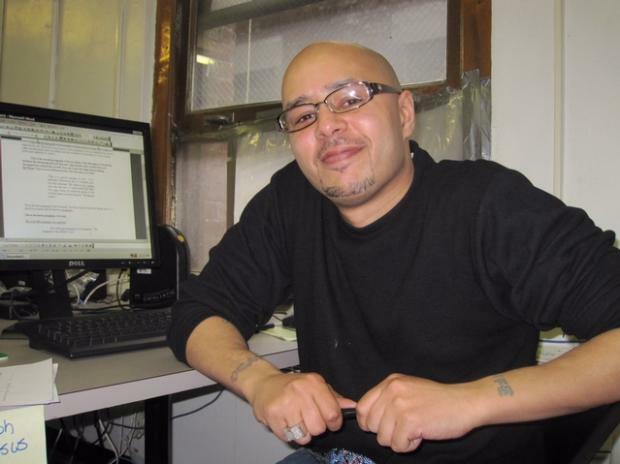 "The transition from prison out into society is hard," said DeJesus, 37, who has now been searching for work for over a year and a half. "Sometimes I get frustrated," he said. "It’s very, very tough." But in the last few months things have started to turn around. At family court in the Bronx, in trouble for missed child support payments, DeJesus was referred to the Midtown Community Court at 314 W. 54th St., a project of the Center for Court Innovation. At this court, things would be different. Since the early 1990s, when Midtown was rife with crime, the court has taken an innovative approach to justice, sentencing those who commit offences like shoplifting, prostitution and drug use to community service instead of jail time. The center also offers a range of social services including job training and counseling. "The idea was to create a court where people could receive meaningful sentences that directly related to their crime," said Becca Chodos, director of workforce development at the court, which was the first of its kind in the country and has since become a model for courts throughout the world. Earlier this year, the court created a joint program connecting their long-standing Times Square Ink jobs training and placement program with Dads United for Parenting, which help low-income, non-custodial parents with criminal histories find jobs and build skills to reunite with their families and better engage with their kids. The two groups now partner exclusively to help about 150 dads per year become better fathers. DeJesus is one of 12 men currently enrolled in the program, which runs in several cycles throughout the year. Dads come together in group sessions to talk about problems they're facing and share advice about what works and what doesn't. For those sent to the new parenting program, the court also provides job training including resume writing, interview skills and computer training. The center then works to place its graduates in jobs with local businesses, including restaurants and supermarkets, as well as the Times Square Alliance, where many work. Chodos said that helping the men, most of whom have been incarcerated, can be an emotional experience. "The floodgates kind of open," she said. "Really they don't seem to have had a place to talk about it before." Two weeks after stepping through the center's doors, DeJesus said he felt more patient with his children, especially a teenage daughter who has been pushing for more freedom. "They’ve given me a lot of insight and a lot of help," DeJesus said of the sessions. "We all feed off each other," he said. The center also helps provide legal advice to the fathers, many of whom owe up to $40,000 or $50,000 in child support payments, often accumulated while they were behind bars. Of course, the treatment-based programs endorsed by the court don't always work. Some job placements fail. Others come before the court again and again. "Some people get it, some people don't," conceded Bo Twiggs, who runs the center's Times Square Ink program. But the court notes that Midtown's compliance rate for community service has been ranked the highest in the city. And the community service programs, such as painting over graffiti in local parks, bring benefits, too. Said Chodos, "It's saving lives and it's saving the community, too."